Some memes never die, and some stick around much, much longer than others. 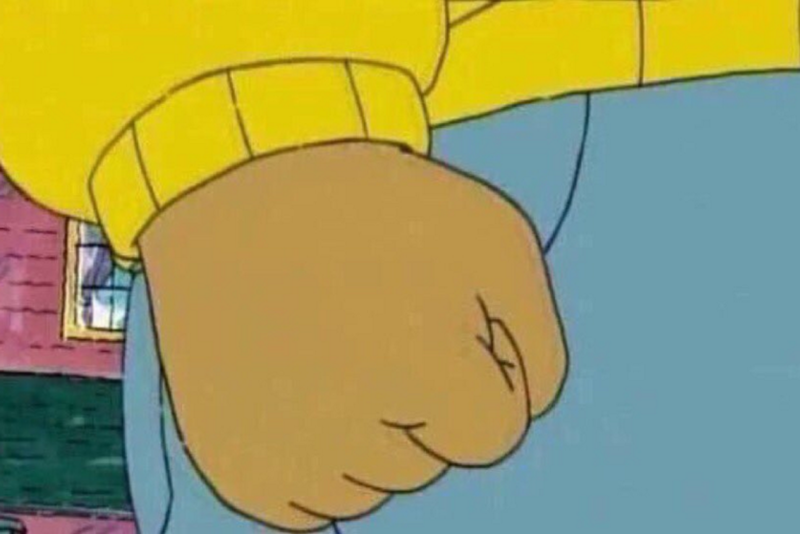 One such meme is the super famous meme featuring Arthur’s fist. Yes, that Arthur, the lovable aardvark from everyone’s fave ’90s cartoon. And one artist just put the most genius feminist twist on the Arthur meme, and we’re totally sending heart eyes into the internet. ICYMI, here’s how the Arthur meme works. It’s easier to show you than to tell you. But then artist Hannah Hill put a feminist twist on the meme, and we are LOVING IT even more! "Spent about 15 hours stitching this feminist art meme ." The many, many steps were showcased on her Instagram. "Some progress shots  It was so hard not to spill the beans about this but I thought it would be more epic to post the end result." She’s beyond thrilled with the reactions to her take on the meme. "Thanks for everyones reactions!! Im literally so happy with it and just glad it was met with such warmth and appreciation!!" Thanks for the ah-mazing artwork, Hannah!